It’s been a fantastic week – full of smiles and happiness. Started the week with a picnic at Hardwick Park with Claire, my godson Rhys and some of his friends – I’ve never seen boys eat so much pasta salad! Was a lovely few hours though of watching the boys play, hosting a game in the woods where the boys had to run and bring items asked for, and generally having a good time. The weather held out too so the sun shone for the most part. They were full of glee when they found a set of holes inside a bushed copse – imaginations went wild with the creatures that could live in the holes! And I even managed to impart some of my hard earned knowledge from orienteering all those years ago to Rhys by teaching him how to use a compass. Then it was the wedding of the lovely Rachel Smith (now Fowler) and Stuart Fowler – despite threats of rain the sun shone throughout, and I had a great time snapping away with my camera. It was definitely the wedding of the year! They put so much thought into the whole event and made everyone feel like family. And with extras like a sweety cart, photo booth with props, racing car simulator rides and a magician there was really something for everyone! I love the photo above of Rachel – I just happened to be pointing the camera that way and it just seems so dreamlike, she’s sitting and filling her heart with hopes for the future. They both looked fantastic and a fabulous day was had by all. It’s been a fast paced week too – so much going on that you barely have time to stop and take a breath, which means naturally that it’s flown over! I did get some writing done which is always good – determined that over the next couple of days I will get the last infill scenes done and then be able to move on to the next murder – my aim is to pass 60k before I go back to work Wednesday and also to prep / send my first novel to the list of agents I want to approach. I haven’t yet heard back from the agent I sent to 7 weeks ago, which could be good or bad depending on how you look at it. But either way, it’s time to send to other agents and get my work out there for perusal. I keep saying that the second novel is writing so much easier than the first – I’ve heard it said that first novels are the hardest and it’s actually proving correct. When I think it took me 18 months to write the first one and the second one is 2/3 through in just 4 months of actual writing, it becomes even more obvious. I think when you’re writing the first one, you’re writing but you want it to be right, so it takes time. Second one is flowing easier because I know I can edit later and make it right, so at the minute it’s all about getting the story down. I already have a basic idea what I’m doing for novel 3 also though research will be required (cue the traditional fisherman with beard and yellow trousers on a stinky boat – spoiler alert!). I must admit that as I write book 2, I’m finding it easier to focus my attention too. Less procrastinating and more organisation and planning – I’m a naturally organised person anyway as a rule, but I often find things that ‘need doing’ and can’t possibly wait as a way to avoid writing when I’m at a difficult part or at a crossroads of what will happen next. But with this one there’s a lot less of that going on. I did find myself embroiled in a new twist when I was writing the other day that I hadn’t foreseen happening – a quick text to someone in the know though meant I could write the scene quickly and be safe in the knowledge that my information was correct. As a writer, I love it when that happens – you’re happy writing away with your plot in mind then BAM, a sub plot emerges that could potentially change the whole outcome, or serve to back up what you’ve already got planned! It’s days like that where I don’t want to close the laptop and get on with ‘normal’ life. On the plus side though, it leaves you open to return at a point you know is exciting and that you want to write! This entry was posted in Blog Posts and tagged author, blogger, crime writer, crime writing, writer, writing on August 18, 2013 by Kerryrichardson77. It’s been a bit of an odd fortnight – I’ve been a tad all over the place in my thoughts with lots of things swirling round my head. You may remember that I was applying for a forensic job? Well after two weeks of worrying that if I got the job it would mean another wage cut, and how would we manage, and thinking about having to go on day shift (when we all know I like late shifts), karma decided that I wouldn’t get the job. Which I have to say was somewhat a relief – I wanted the forensic aspect of it as I love forensics and miss it very much, but I most definitely didn’t want the wage the drop etc so all in all it worked out very well I think. Don’t know if it’s been the weather or something else, but I have been very indecisive over the last couple of weeks too – ‘I need to do this’ but then rapidly getting to ‘but I need to do this too so the other thing will just have to wait’ and then ‘well this is even more important so they’ll both have to wait’ eventually getting to ‘this couch is so comfy and the silence is so welcoming I think I’ll just sit in it for a little while.’ This method naturally results in very little actually getting done, though I have to be honest and say I don’t ‘stop’ very often so perhaps I needed it. The other thing this resulted in was very little writing getting done. We all know I work full-time so writing time is precious to me, and I did write 3300 words in the last couple of weeks, but in the scheme of my usual volume over two weeks this does seem a little lax. Totting it up though, in the last 6 weeks I’ve done around 14k words which isn’t too bad. I have resolved that this will be addressed this morning though and made sure I got out of bed extra early so that I can write before my day commences. I read a very interesting blog the other day, by Rachel Macy Stafford. The article featured in the Huffington Post. The gist was that she spent all her time telling one of her children to hurry up, until she saw her other child do the same thing. She realised her second child sounded just like her and it made her address why the first child had to hurry up. So she slowed things down, she let the first child deal with things as they wanted to, at a leisurely pace, taking in everything around them, that child was a Noticer. It was a very well written, and thought provoking blog. I don’t have children yet, but realise that probably 9/10 people do this, whether to their children or to themselves. We rush about in our daily lives and we miss so much doing this. It’s already scary enough that time goes by so fast, without us missing tiny details that might actually mean something. I had a day out yesterday with mum, and we went to Durham for the day. It was great to be somewhere different from our home town, and the morning was spent wandering up and down cobbled, hilly streets, taking in the shops and the smells and sounds. Naturally we stopped for a coffee mid morning and partook in some people watching. Lunch was a funny affair, neither knew what we wanted and eventually we found a small asian restaurant with a lunch time menu. Mum had coconut and chicken soup, and a spicy beef noodle salad, I had chicken flat bread with mango chutney and a cucumber salad. It was refreshing to have something different to the norm, in a place we hadn’t been before. Mid afternoon we stopped for another people-watch. It was lovely so see such a diverse community, people from all races and religion walking the same streets with the same intention of getting to wherever they were going. In doing this it struck me that though I am not an actual Noticer, I rush about constantly trying to fit everything in, but I do notice things. I noticed the reflection of the sun on the apparently still water of the Tees river running through the centre of Durham city, I noticed the ducks swimming near the edge of the river in the reeds, I noticed the warmth of the sun on my face, and the melee of people going about their daily lives. I noticed the top of the cathedral peeping through the trees, the 2 separate people playing instruments in the street, and the young man singing Hallelujah in the market square with his bowler hat on the ground to take tips. And I saw the grandma pulling her granddaughter by the hand saying ‘hurry up, we’re going to be late.’ After reading the aforementioned blog, this actually made me frown slightly. Noticing things as an adult is different to when you’re a child. As a child it’s all about exploration and learning, and new experiences. As an adult it’s getting through the day as efficiently as possible whilst trying to have new experiences. Take a minute to pop outside of your house, look around and think. I bet you notice at least one new thing. The picnic I mentioned in my last blog post was fabulous. Vicky and the girls picked me up and we went to Hardwick Park – those who’ve read previous blogs know I love Hardwick – it’s close, you pay parking but the rest of the day is free and there’s loads to see as you meander around. As soon as we parked the car, one of the girls exclaimed loudly that she’d found a frog. Now I’m an animal lover, and this tiny frog the size of my little finger nail was right by the car tyre. Left where it was it would surely die. So i dutifully picked the little fella up to take him to the nearest water stretch. The girls and Vicky carried out lovely picnic, and we all had on our wellies and waterproof coats as yes, you’ve guessed it, it was raining (or threatening to at that stage as it had been for the previous week!). Frog was released close to the water and we found the lovely metal table and chairs. 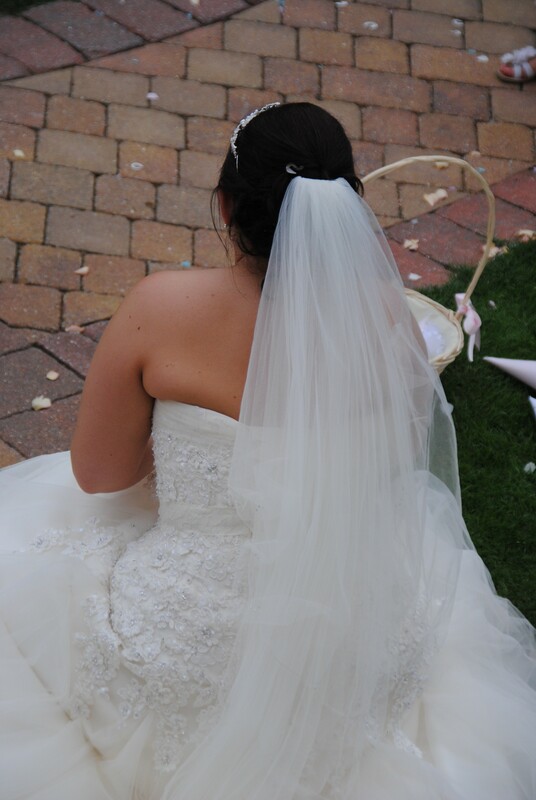 I dried them off with the towel (ultra prepared me lol) and we had our picnic – the rain held off for this wonderfully. Then it was time for the girls to feed the ducks, geese and swans! They had great fun flinging bits of bread and the signets from last time, along with some coot and moorhen chicks came out to join in. It was a lovely morning. Heading back to the car, Lexi found another baby frog and gently picked it up and took it back to the water. Then the girls had fun doing the interactive stuff in the gallery, and eventually it was time for home. I love going out with kids – they view things so differently to us adults. Both Lexi and Gabs knew with utmost certainty there are fairies in the woods, even if we didn’t see them. And Lexi asked if the trees were talking to each other (the wind was rustling the leaves) – naturally I confirmed the trees were indeed talking to each other, which resulted in Gabs getting a little scared of the trees. It was a fab morning and I’m already looking forward to next time. I’ve heard a lot this week about inspiration, and muses. Some writers exasperatedly saying ‘I’ve lost my muse’ or ‘my inspiration has gone walk about’ and I suppose in a way I’ve been caught in this rut this week too, though mine was more to do with my mind being numb than me losing my muse or inspiration. My inspiration to write never abandons me – it’s all around if I care to open my eyes, but the will to write is a whole other story. I think muses and inspiration are everywhere, and as a writer, if you’re in the place where you’re feeling a little stagnant, or a little lost, then you need to make the effort to reinspire (and yes I know that’s not an actual word in the dictionary). Don your walking shoes and drive out of town, look for a sign that says public footpath, and off you go (with a compass and knowledge of where you left the car obviously, poss even a mobile phone so you don’t get lost). Or head to the town centre and find a coffee shop or a bar, check out the people stood at the counter and try to imagine their job, their worst experience and their best experience. Have your trusty notebook and pen to hand and write whatever pops into your head. Before you know it you have a plot, or a new character, or you’ve just realised something about the piece you were working on that you can adjust. I’m a big believer that inspiration is everywhere, and muses always help when we are willing to listen. Sometimes it’s just a case of opening our ears and realising we had them closed in the first place! This entry was posted in Blog Posts and tagged author, blogger, crime writer, crime writing, writer, writing on August 9, 2013 by Kerryrichardson77.